The SS Independence was originally launched during the heyday of ocean travel of the 1950's but was treated to more than $78 million in refurbishments from 1994 to 2001 by her various owners. The ship is one of the few major cruise ships built in the United States, having been constructed at the Bethlehem Steel Company in Quincy, Massachusetts for American Export Lines of New York. It was intended for use as a trans-Atlantic passenger liner--yet, it adhered to post-World War II U.S. Navy specifications to permit rapid conversion into a troop ship, with a capacity for 5,000 men and their equipment. Those men would have really been packed into the ship since she was designed to carry about 1,100 cruise ship passengers. The vessel, as originally designed, was made entirely of non-combustible or fire-resistant materials and featured extra hull plating--and two engine rooms so that if one were damaged, the other could keep the ship moving at a relatively high speed. 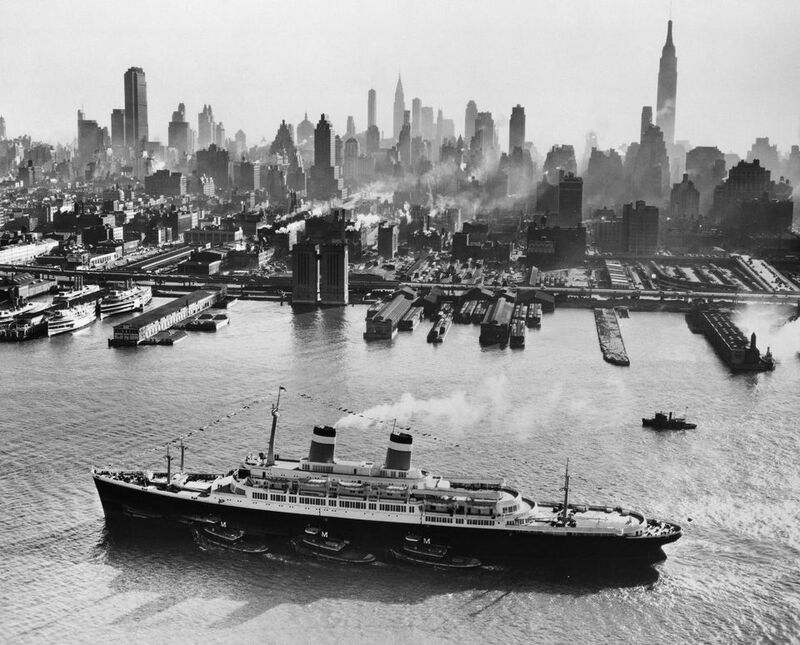 The SS Independence had her maiden voyage in February 1951, sailing from New York City to the Mediterranean on a 53-day cruise that took the new ship and her passengers around the Mediterranean Sea. By the time the SS Independence returned to New York City, this voyage had clocked over 13,000 miles, and the ship had visited 22 ports of call. For the next 15+ years, the SS Independence visited the Mediterranean many times, often carrying such famous guests as President Harry S. Truman, Alfred Hitchcock, and Walt Disney. Mr. Disney loved cruising, and most Disney Cruise Line cast members (employees) think he would have loved Disney Cruise Line. In 1974, American Export Lines sold the SS Independence to Atlantic Far East Line, and she was renamed the Oceanic Independence. The number of passengers was decreased to 950. American Hawaii Cruises bought the ship in 1980 and her passenger count was decreased to 750. By 1999, the SS Constitution had "lived" long enough to sail 1000 voyages. Until its bankruptcy in late 2001, American Hawaii Cruises' classic U.S.-flag ocean liner, the S.S. Independence, sailed exclusively around the Hawaiian Islands 12 months of the year on week-long cruises. After the collapse of American Hawaii Cruises, the Independence sailed to the Alameda Naval Air Station in California. On March 5, 2002, her mast hit the Carquinez Bridge while being towed by four tugs. The Independence was on her way to Suisan Bay but was taken back to San Francisco for repairs. The Independence was subsequently moored in April 2002 with the Suisun Reserve Fleet in Suisan Bay, California near the USS Iowa. In February 2003, the Independence was sold at auction for $4 million to Norwegian Cruise Line (NCL). NCL planned to add the Independence to its U.S.-flagged fleet and hoped to have the ship carrying passengers by 2004. However, the ship continued to degrade and was renamed the Oceanic in 2006 without ever sailing for NCL. In its July 2007 interim report to shareholders, Star Cruises Limited (the parent company of NCL) disclosed it had sold the Oceanic, but did not name the buyer. Sadly, the SS Independence made her last trip across the ocean in February 2008 when she was towed out to sea from San Francisco. In 2009, the classic ship the SS Independence was scrapped at the Alang, India ship scrapyard. The SS Independence had a sister ship, the SS Constitution, which was built in 1951. The SS Constitution also had an interesting history, including starring roles in the I Love Lucy television series and in the tear-jerker movie, An Affair to Remember. Actress Grace Kelly sailed the SS Constitution across the Atlantis Ocean on the way to marry Prince Ranier in 1956. This classic ship was retired from service in 1995 and sank while under tow to be scrapped.